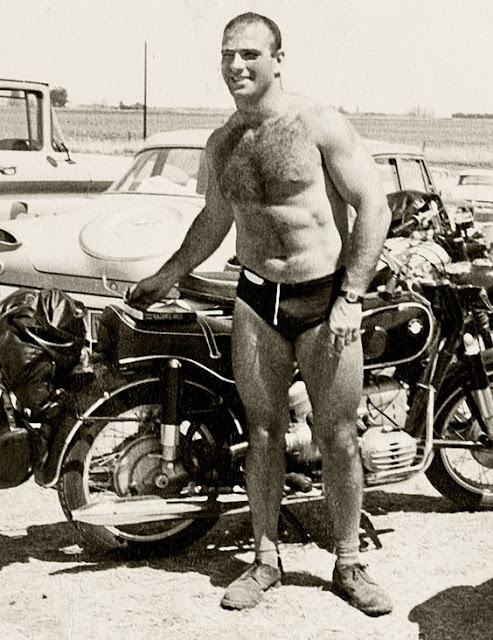 This is Dr. Oliver Sacks (1933-2015), renowned physician, researcher, and author during a coast to coast motorcycle trip across the USA in the early '60s. Oh, and he was gay, too. Dr. Sacks was not "out" in the sense most of us use the term until late in life. Even then, he was very private about his orientation.